The Facebook ad space continues to evolve as more and more businesses jump on the bandwagon. Ads Manager is becoming more technical, with options that most business owners aren’t even aware of. Bid prices are steadily climbing but are still very reasonable. And sure, there’s lots of online courses and webinars about Facebook Advertising, but sitting alone at your computer trying to keep up with a virtual teacher isn’t a guarantee that you can put what you learn into action. Stay ahead of your competition and stop wasting valuable marketing dollars by simply “boosting” posts. 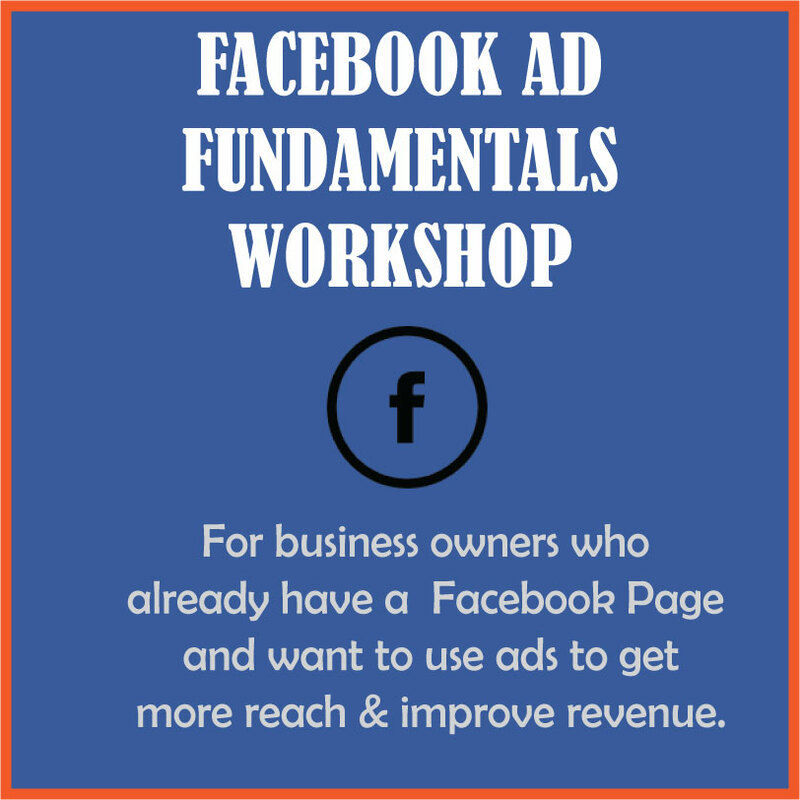 Facebook works for almost any business if you know how to use it the right way! During this hands-on workshop, we’ll show you exactly what to do and how to do it! The 4-hour in-person workshop is designed so that you get the experience you need to really learn, but we don’t leave it there. You’ll also get a 30-minute follow up call from us in the next month to see how you’re doing and answer any questions that may have popped up. Learn how to use Ad reports to improve your campaign and track results. This class is taught by Debbie Ward, owner of Silver Tablet Marketing, who has 3+ years creating and publishing ads that get results for local and national businesses. She has a passion for learning and is up-to-date on what’s working NOW in the Facebook advertising space. She is a regular guest on the “Get Clients Now” podcast and has taught classes for the West St. Louis County Chamber of Commerce, Realtors, non-profits and small businesses. This class is only offered once per quarter. Space is limited to 20 participants in order to allow for lots of interaction.